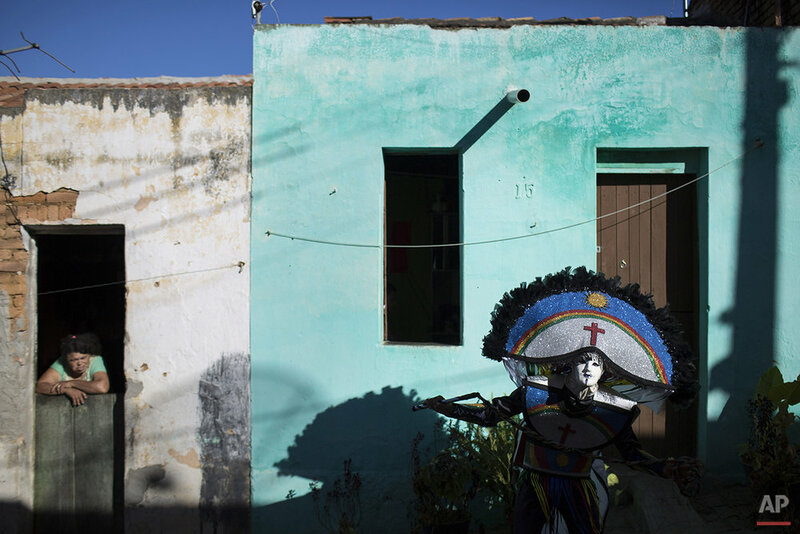 Far from the glitz and glamour of Rio de Janeiro's famous Sambadrome parades, people in this northeast Brazilian town put a frown on their Carnival celebration. 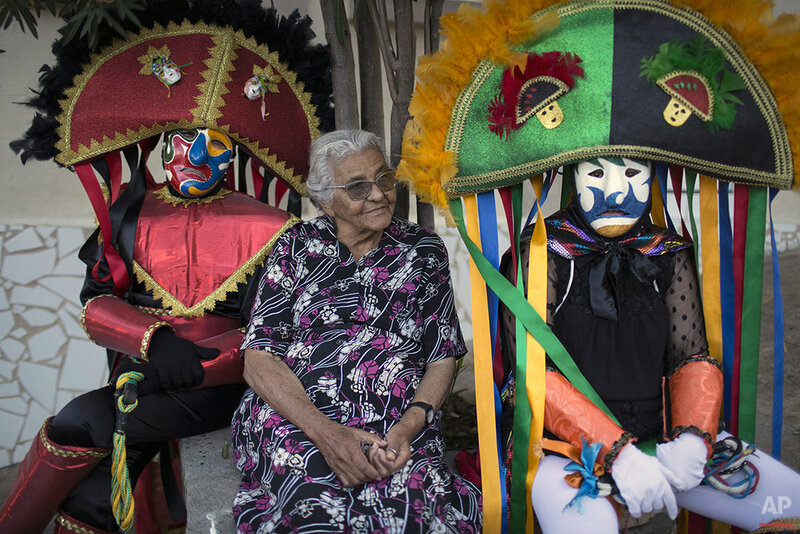 Triunfo's "Caretas" revelers take to the streets in colorful hand-made costumes that feature huge hats, long whips — and scowling masks. The festivity dates back almost a century. Residents in this small town say it began after two men were forbidden to take part in a folklore celebration due to their drunken behavior. As retaliation, the pair roamed the streets wearing masks painted with sour expressions. Every Carnival since then, "Caretas" groups parade through Triunfo wearing their dour masks and cracking whips. 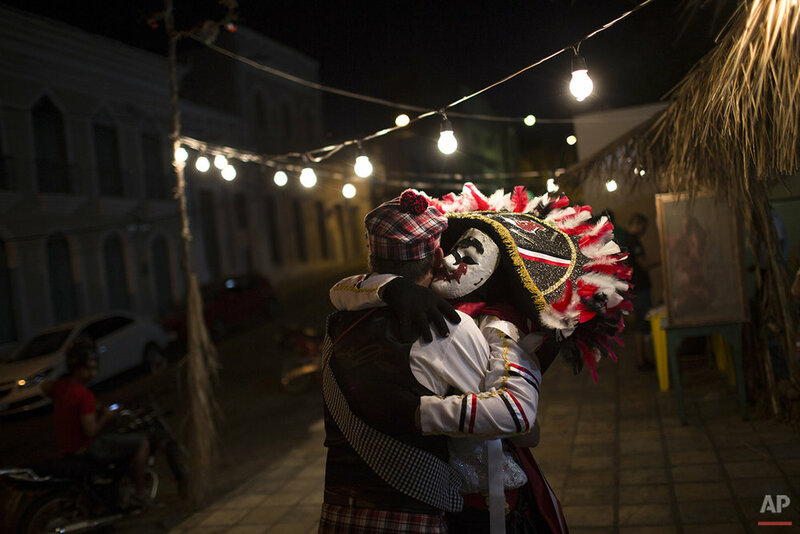 Text from the AP news story, Frowning masks and whips highlight Carnival in Brazil town.